Hidden Lake aims to keep hemp as natural as possible while helping local organizations and programs. Nestled within the breathtaking peaks and valleys of Montana’s Glacier National Park is a body of water named Hidden Lake. It is a small, glacial lake and the hiking destination for many Glacier National Park visitors. It’s a staple of the remarkable beauty that can be found in nature which symbolizes one of many elements that Hidden Lake values as a company. For one, they value the outdoors. Being active and getting back to nature supports both physical and mental health. Second, they value learning and innovation. Their team of experts has vast knowledge in the food, flavor, and fragrance industries, and is continuously working to bring change and transparency to the industrial hemp scene. Last but definitely not least, they value people. They strive to offer a superior product at an affordable price that they believe can truly help everyone live their best lives. Hidden Lake is an entirely Montana-based company. From crop to commodity, the process starts with their hemp farmer and ends with a purchase through their website with a local card processor. It’s all done right in the Big Sky Country. Hidden Lake is a part of a cooperative of Montana based farmers, product developers, testing laboratories, and agricultural logistics specialists to advance the domestic hemp market. It all began with a farmer in Choteau, Montana named Sam Armstrong who planted 1600 acres of industrial hemp in 2018. From there, their partnerships have grown to include a variety of companies dedicated to making industrial hemp a successful industry for Montana and the United States. Two of the company’s closest partners are Planet-3, a company dedicated to turning hemp waste fiber and hurd into high-value components and Greenhouse Farmacy, a regional leader in hemp-based lifestyle and wellness. Hidden Lake products are clean and simple, make use of the whole plant, and are designed for flexible use as an ingredient or directly as a topical solution. 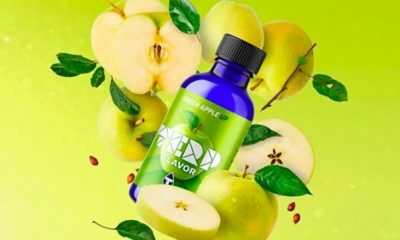 The initial product consists of only three ingredients—the whole plant extract, organic cold pressed hemp seed oil, and vitamin E. When they launched just a short month ago, they had three flavors of full spectrum hemp extract available. Within a few weeks, Hidden Lake had developed a new flavor and plans to continuously evolve their collection of extracts through novel concepts and customer feedback. They are also excited to have released their first topical lotion formulated with lavender oil and their hemp extract. “Because we are composed of a team of scientists and inventors, we are determined to cultivate new flavors and products that will inspire curiosity and intrigue from the community,” Stephens says. Along with bringing transparency and scientific development to the hemp industry, helping people is at the forefront of the Hidden Lake mission. Their passions for the outdoors, discovery, and innovation are only matched by their dedication to service. Hidden Lake decided to give back 10 percent of every purchase to six organizations that align with their mission and values. The organizations they give back to include Montana Conservation Corps, Camp Make-A-Dream, Disabled American Veterans Charitable Service Trust, Brain & Behavior Research Foundation, Association for Women in Science, and the 360 Skill Academy.